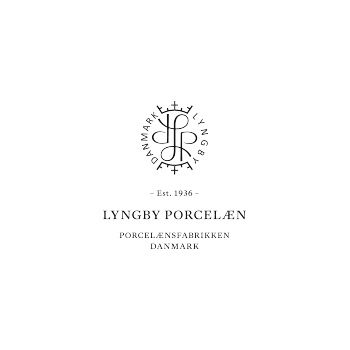 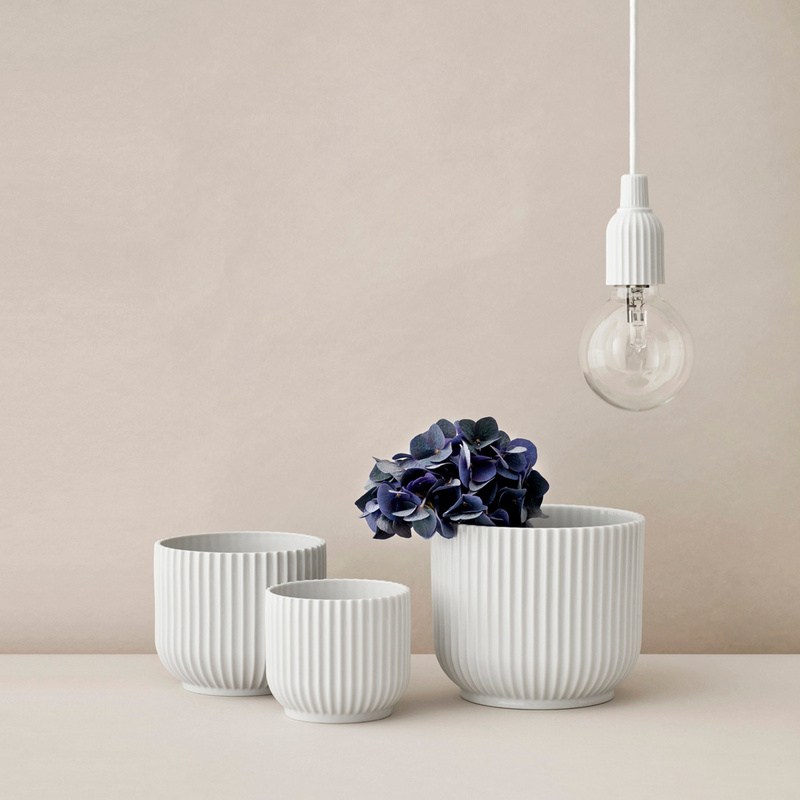 The Lyngby round vase is part of a collection of vases made by the designers of this Danish brand. 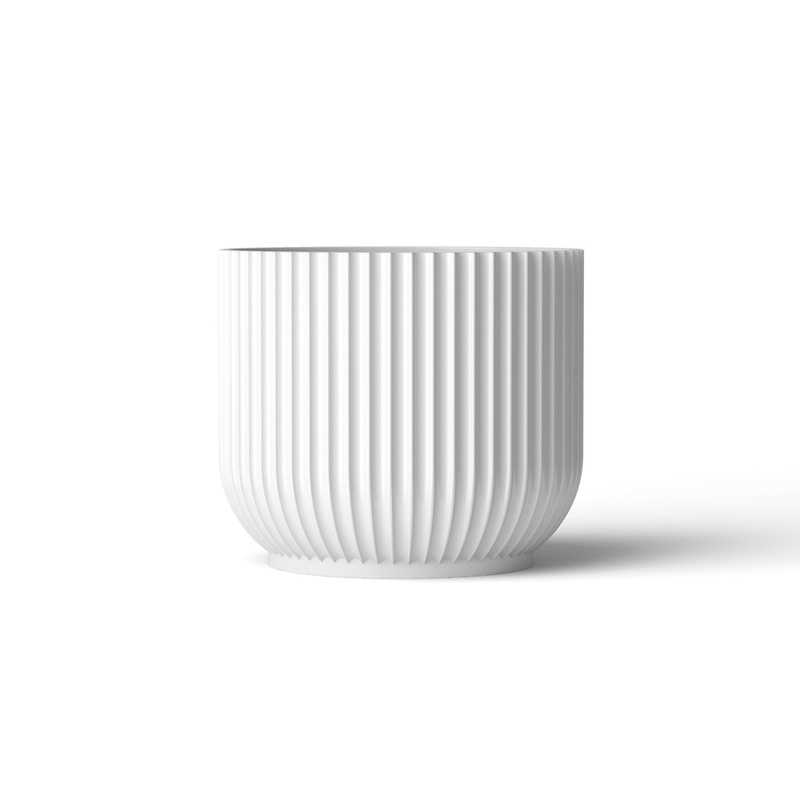 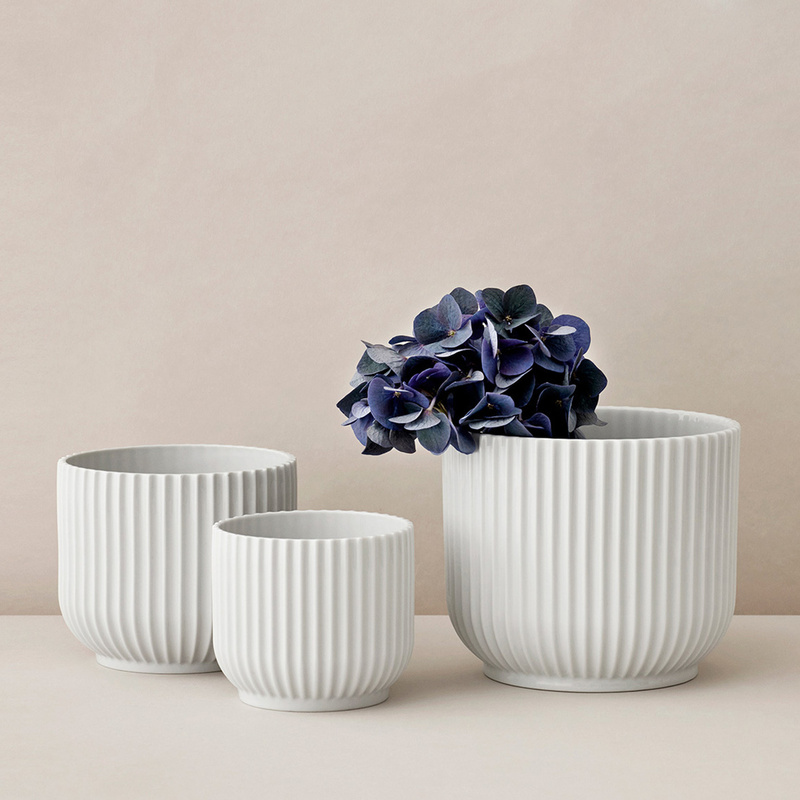 Made entirely by hand in fine white porcelain, it is moulded to ensure a structure with thin grooves that starts from the base and reach the top of the vase; The inside of the vase, on the other hand, is processed to keep the walls smooth. 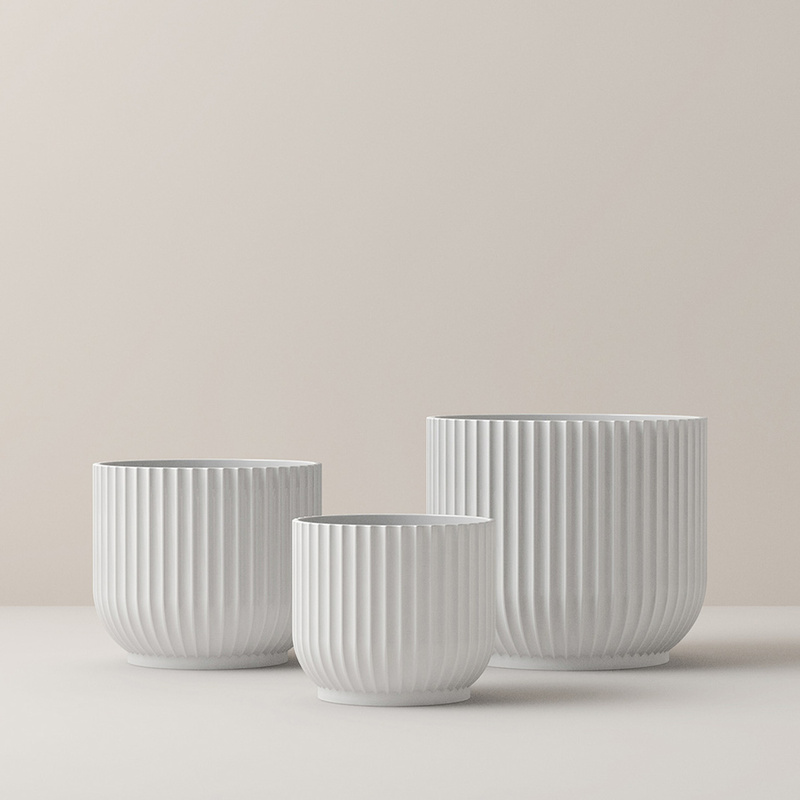 The vase cannot be washed in the dishwasher, but exclusively by hand and using neutral and non-corrosive detergents and a soft cloth, avoiding abrasive sponges.